Kathleen Bernasconi, registered nurse, mother of four, member of the Fort Independence Tribe and a mainstay in the Mammoth Hospital Emergency Room for two decades, died on December 29, 2018 after a brief illness. She would have turned 63 on January 18, 2019. Kathleen was married for 41 years to Peter Bernasconi, whom she met in the 6th grade when Kathleen’s family moved from Lone Pine to Independence. She was born Kathleen Cooney on Jan. 18, 1955 in Seattle, Washington, the daughter of two military lifers, Ida Mae and William Cooney. As Ida Mae was a member of the Fort independence Tribe, that was the impetus for the family to ultimately return to the Sierra. She and future husband Peter were outdoors types. They enjoyed the beach, the mountains, and other outdoor activities, particularly backpacking together in the summers. Cutting wood on Saturdays was one of their favorite things to do together. Post-high school, Kathleen was accepted at Stanford but ended up attending Fresno State for nursing. She graduated from Columbia College in Washington state (near Yakima) because, well, college was a circuitous path for the couple. In 1976, Peter and Kathleen had their first child, daughter Katrina. Kathleen took some time off while Pete attended college and worked in San Luis Obispo. Katrina was followed in 1978 by Peter, then Brian in 1983, and Louis in 1986. After getting her degree, Kathleen’s first job was in Prosser, Wash. The job tested her because it’s a relatively rural area. She delivered a baby on her own because the doctor couldn’t get there in time. Kathleen was self-reliant and confident, and it inspired those who worked with her. Kathleen was a mentor to Sue Gribsby, whom she met at Community Memorial Hospital in Ventura. The nursing staff was close and hung out socially, celebrating birthdays and baby showers and the like. The Bernasconis moved to Mammoth in the late 1990s. While Kathleen had worked the day shift prior to coming to Mammoth to raise her family, she switched to the 7 p.m. to 7 a.m. shift when she got to Mammoth Hospital. Lenka Rahmeyer worked the night shift with Kathleen from 2005 until Kathleen’s retirement in 2017. Rahmeyer was a member of the medical/surgical unit. This sentiment was echoed by longtime Mammoth Fire Marshal Thom Heller. “She was always a welcome sight. There was a level of comfort on drop-off. Kathleen and Peter had been looking forward to retirement together. Alas, Kathleen, though being (or perhaps, because of being) in the medical profession, never went to see the doctor and didn’t have a primary care physician. She knew something was off as much as 6-8 months before her passing but decided she would rather not know what it was. 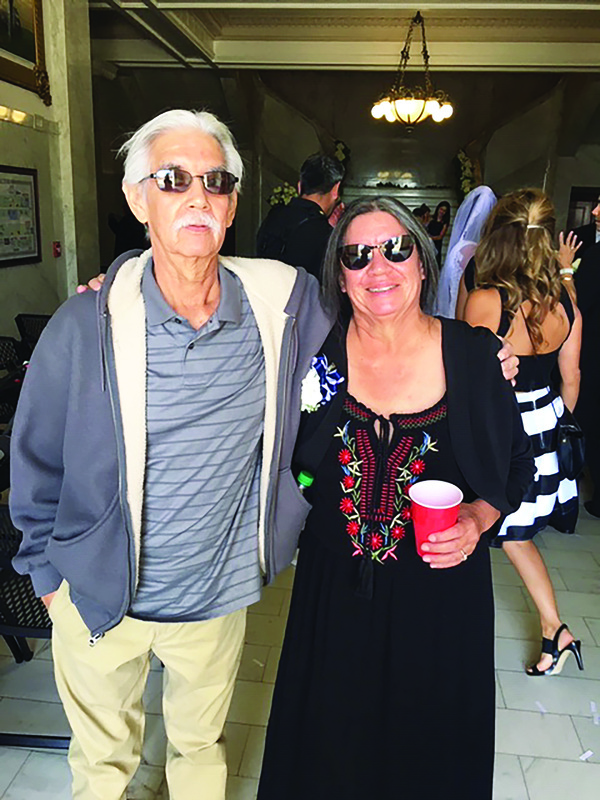 Eventually, her state of illness progressed to the point where her husband took her to Renown Medical Center in Reno on December 15, 2018. She died in the hospital two weeks later. In addition to her four children, Kathleen is survived by her husband Peter, son-in-law Travis, daughters-in-law Kristin, Coreena, and Meryl. She will be dearly missed by her seven grandchildren Kylie, Kiera, Kayla, Evan, Ava, Aubrey Rose and Leo, as well as her brother Daniel and nephew Reese. A Celebration of Life service is forthcoming. Favored charities one can donate to on Kathleen’s behalf include the Mammoth Lakes Foundation, Wounded Warriors and the Mono Lake Committee.